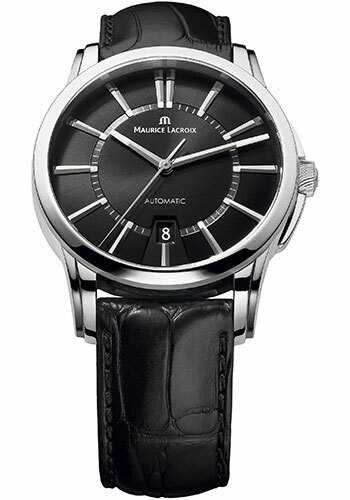 40mm stainless steel case, crystal back, black dial, automatic movement, leather strap with folding buckle. Water resistant to 50 meters. 40mm stainless steel case, crystal back, silver dial, automatic movement, stainless steel bracelet. Water resistant to 50 meters. 40mm stainless steel case, crystal back, black dial, automatic movement, stainless steel bracelet. Water resistant to 50 meters.